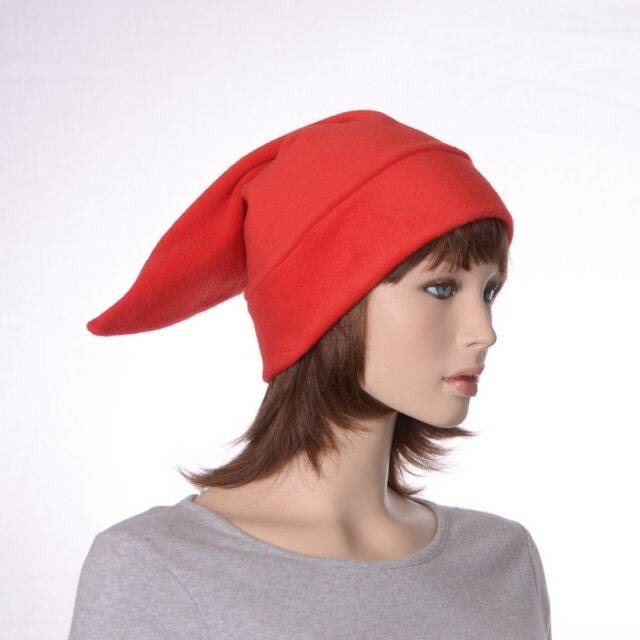 Pointed red short elf stocking cap. 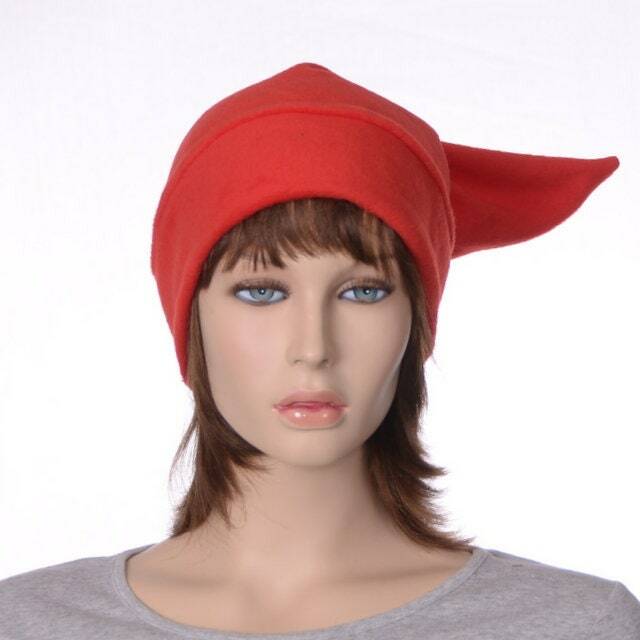 This hat is made from bright red polar fleece. Pointed tip. Measures about 17 inches from point to bottom of headband. 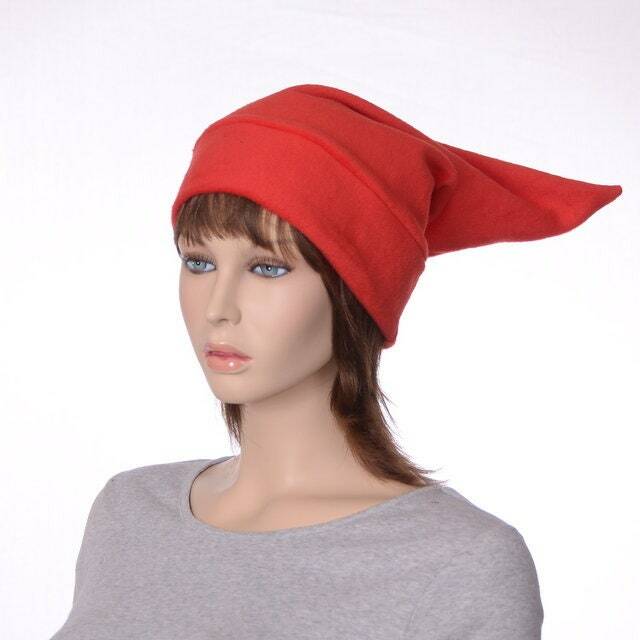 Fits 22 to 24 inch head. Double thick headband. 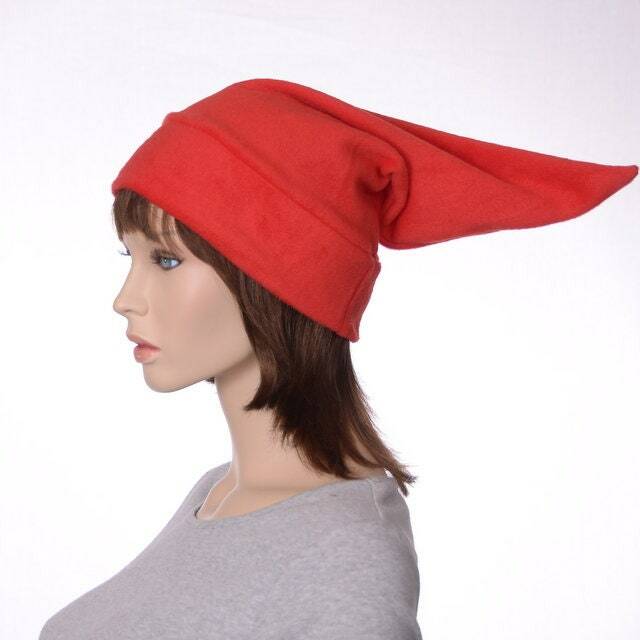 Use it as a costume hat or an everyday warm winter hat.